Since the ribs and rib cage are attached to the spine, dysfunction in the spine can cause symptoms and problems in the ribs. There are 12 pairs of ribs, and the first 10 articulate with both the thoracic spine and the costal cartilage on the front of the rib cage. The remaining ribs are called floating ribs and only attach to the spine. According to the textbook “Differential Diagnosis and Management for the Chiropractor Protocols and Algorithms," thoracic spine pain is as common as neck or low back pain. Most thoracic pain is the result of postural strain, and causes of pain in the ribs include muscle strains, fractures, inflammation of cartilage, and subluxation of the thoracic vertebra or rib. Strain of the intercostal muscles can occur if a muscle is worked beyond its ability. This is common in lifting or moving furniture and can be the result of a single strenuous event or from repetitive use. The intercostal muscles are located between the ribs and can be tender to touch if they are involved. 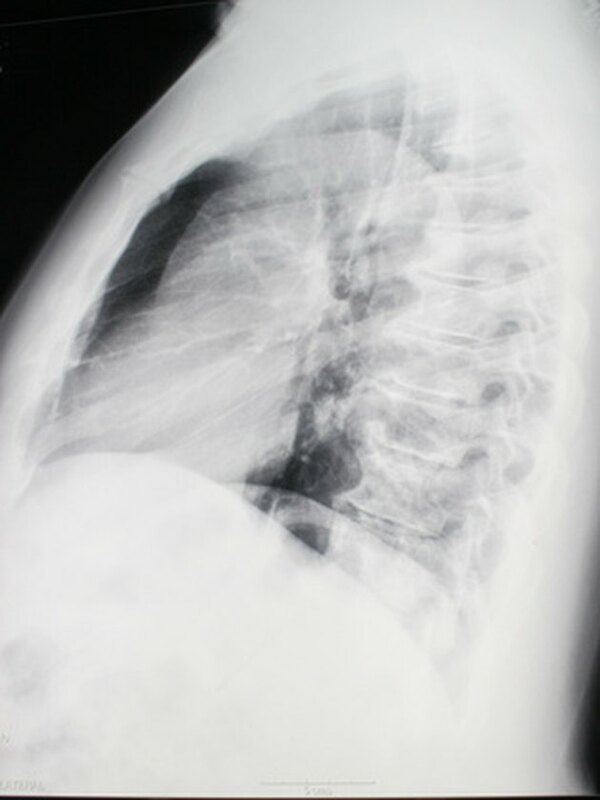 A rib fracture can cause pain in the rib cage after a fall or blow to the chest. This may impair breathing and cause a sharp pain with movement and should be evaluated by a physician. The possibility for fracture increases if the patient has osteoporosis. A compression fracture can also occur in the thoracic spine, which will affect the vertebra and rib articulation and may cause pain along the rib. Costochondritis causes pain in the front of the ribs on both sides of the sternum, according to MedlinePlus, a service of the National Institutes of Health. Costochondritis is the name given to inflamed cartilage on the front of the rib cage. If the pain occurs on only one side, it is called Tietze's syndrome. There is no known cause for this inflammation, but it is thought to be the result of trauma to the costal cartilage, according to "Differential Diagnosis and Management for the Chiropractor Protocols and Algorithms." A vertebral subluxation is what chiropractors refer to when a vertebra has lost its proper alignment with the vertebra above and below. This can lead to muscle spasms, a reduced range of motion, and neurological irritation. If the vertebra loses its normal range of motion and position, it can also cause a misalignment in the rib joint and can refer pain into the rib cage. Pain can travel along the intercostal nerves. This is called intercostal neuritis. Intercostal neuritis is also caused by shingles, which is caused by the herpes zoster virus. What Are the Causes of Muscle Spasms in the Neck?